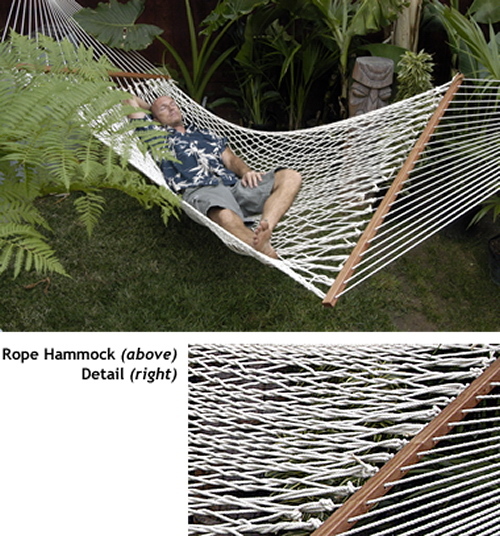 The original Rope Hammock by Pawley’s Island. Handcrafted since 1889. Originally developed by a river boat captain who desired a cool, comfortable, cotton-rope bed for those steamy nights out on the water. 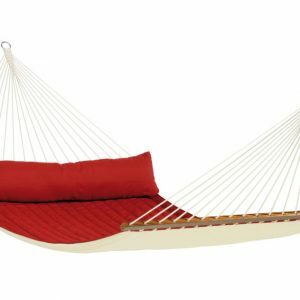 The only thing to have changed on the original hammock design, is they are now using better materials. 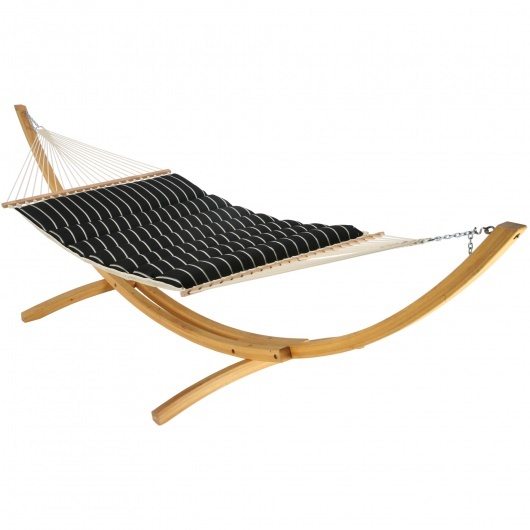 They are made out of all-weather, cottony-soft synthetic ropes and triple varnished hardwood spreader bars. 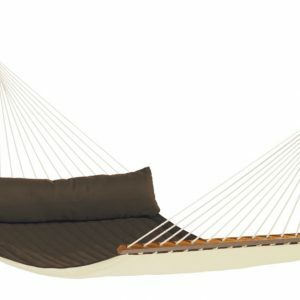 This is the perfect hammock to rest your days away with a friend or a good book. Hand woven body with braided reinforced edges. Hand macramé ends attached to nickel plated rings. Triple varnished Southern White Oak spreader bars. Body size: 60″ x 82″.